I got a new tonneau cover for my truck and want to make sure that it isn't collapsed by a large load of snow while sitting outside. The last one I had, met that fate. So I built this prop device. I just got it installed this morning (Feb 25, 2010) and just in time. I'm headed for the Cleveland airport this afternoon and snow is predicted for all night there. Its snowing here as I write this. It has wedges to adjust the height, held in place by the red strap. The wedges are not really visible here because they are behind the red strap. The yellow and blue straps are standard tie down straps that would be rattling around in the cab otherwise. It could use some adjustments. The way the tie down straps are arranged needs some work, but before I start modifying, I thought I'd give it a try and see what else I run into. 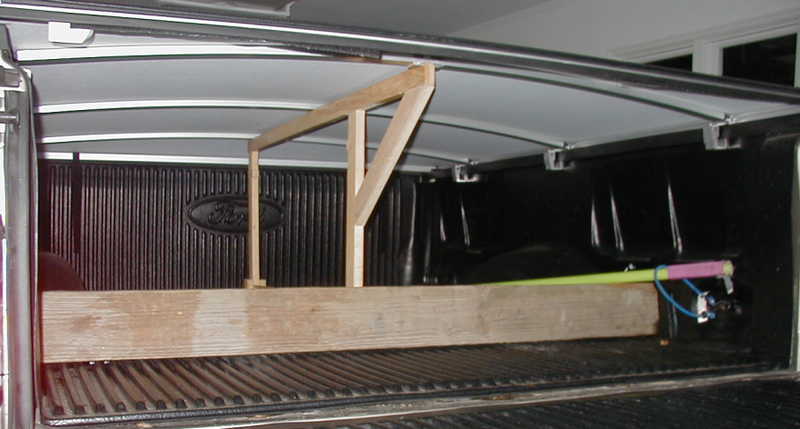 I modified the tonneau prop so that I could have the "bed dam" in place. 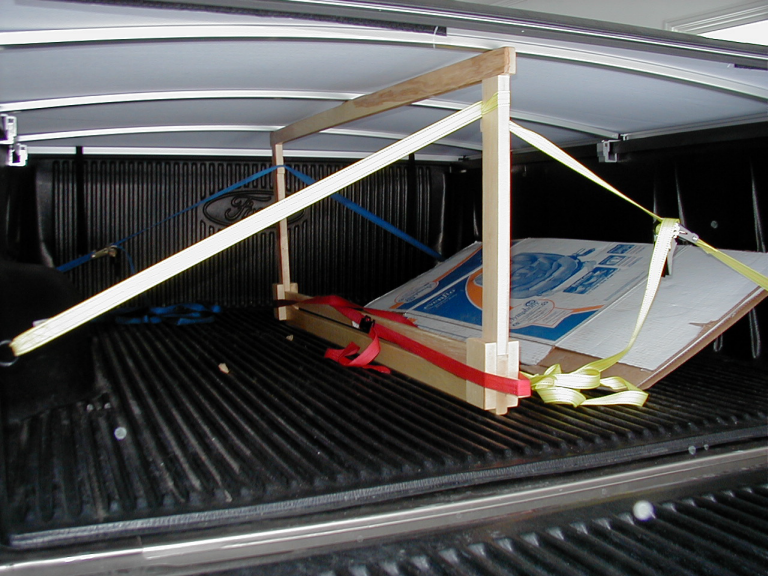 I like to keep this in the bed so that things stay back toward the tailgate. I also had added last year a couple of little blocks on the back tonneau hoop that straddle the prop and keep it from sliding from side to side. That works better than the tie down straps I was using originally (shown in the top photo). 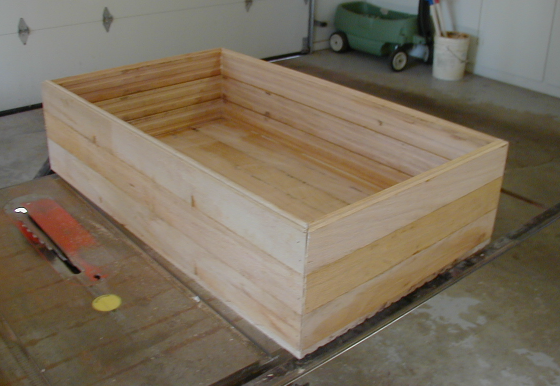 I also built a wood box to put in the back of the bed to carry tools, chains, ropes, etc. The finished product. I used left over oak flooring to make this thing (and lots of glue).